Hey guys, guess what? 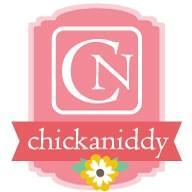 I’m joining the 2014-2015 Chickaniddy Craft Team! I’m absolutely excited! Here is a little project I whipped up using the Scrumptious Collection. Check out the rest of the super talented Craft Team here. Thanks so much for stopping by and enjoy your weekend! yay!!!!!!!!! Love your project and looking forward to working with you! congrats!! that tag is super cute! So excited to be on the Chickaniddy Crafts team with you, Tyra!